Has the Indian industry begun to come off its shell, beginning to see that something is fundamentally wrong, detrimental to its interests, with policies adopted by the Government of India (GoI)? It would see so, if the latest move by the Association of Power Producers (APP), is any indication. APP, significantly, is the apex body of the country’s top industrial houses, ranging from Adani and Tata to Reliance (Anil Ambani) and Torrent, all of them so far considered pro-Narendra Modi, and involved in power generation. In a strongly-worded letter to Union minister for power and new & renewable energy Raj Kumar Singh, APP director-general Ashok Khurana has said that the GoI has come with a “very regressive provision” in order to protect state-sector power generating stations from competition by seeking to “reintroducing the cost-plus regime”. The Tariff Policy, 2006 had stipulated all future requirement of power were to be procured through competitive bidding, even as providing an exemption to the public sector projects for five years, i.e. till January 2011. The five-year moratorium was particularly advantageous to the National Thermal Power Corporation (NTPC), the Central public sector undertaking (PSU), which has a generating capacity of 53,651 MW. 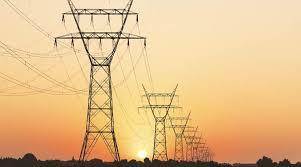 In fact, it said, a piquant situation has arisen, where public sector power plants Sholapur and Barh Stage 2, with tariff at Rs 5.30 and Rs 5.68 per unit, respectively, have assured PPAs, whereas private-owned plants willing to sell power between Rs 3.00 and Rs 3.25 per unit are struggling for want of PPAs.